Be clear and realistic about the type of roles that are suitable for you. This will help you target the right kinds of roles in your auditions. For example, if you are new to Television, you won’t be able to manage a lead role in a top tv show or you can’t expect to be called as a guest star in any of the tv shows. In this case, it would be advisable to target extras roles or probably find acting job in small tv production houses. Next, find out how many roles at your level are available and in how many could you be possible casted based on your individual type and level. If there are ample of options, there is no problem at all. But, if you see very few options for your type and level, then you can probably go out for parts or more accurately, explore new options. Find out how many people are being invited to the casting calls, what is their type and level, and then compare your individual credit to those casting actors. If you fall in a category of thousands of other casting actors, you need to think how you can make yourself stand out of the crowd. What are those qualities and features that can get you the role you are applying for, how can you impress the casting directors, and so on. Once you know what sets you apart, you can easily audition for those types of roles that match your casting strengths. If possible, get yourself known to as many casting directors as possible. If the casting directors already know you, there is increased likelihood that they would hire you than someone who is new. 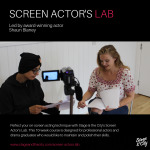 Casting directors prefer to hire actors with whom they have already worked or about whom they know something as it assures them of quality work for their show/film. Hope these tips help you get the best possible results out of your casting calls. However, if you are still struggling to get auditions casting calls, you may visit www.castingnow.co.uk The website is a reliable online platform to know about the casting calls, extras auditions calls, open auditions calls, and other acting jobs and roles in TV, films, theatres, and ad world.